On the 17th of January, the GOP-controlled Senate held a retreat at the Washington Nationals baseball stadium. Sen Mitch McConnell has been blocking any vote on proposals to reopen the US government without Trump's racist wall funding. 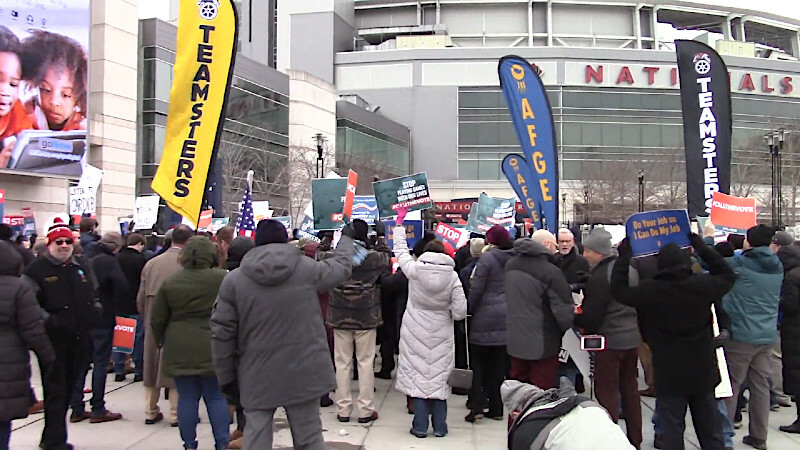 Outside the stadium, unions representing government workers furloughed or working without pay chanted "Call the vote!"